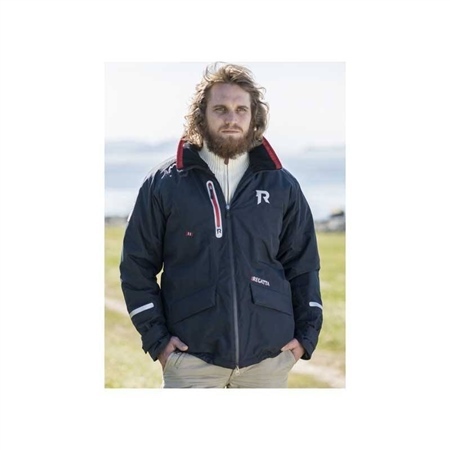 The Regatta Coral sailing jacket is a light, comfortable and soft flotation jacket in a classic maritime design. The material makes the jacket windproof and thermal features ensure the user stays warm. Available in red or navy. Windproof and water repellent outer fabric with taped seams. Hi-viz yellow hood (with Velcro strap and drawstring adjustments) which rolls into collar. Adjustable, elasticated drawcord in bottom hem. Three outside pockets with zips and an inside pouch. Crotch strap with inside pouch stowage. D-ring for emergency stop cord.